Vivianne Nantel is a 21st century mystic and spiritual guide who overcame an abusive childhood, deep depression, advanced cancer and even a brush with death by harnessing the power of yoga and her own spiritual energy joins eHealth Radio and the Personal Development Channel. Vivianne is the author of: Becoming the Light: Realize Your True Enlightened Nature. Can you talk about your experience with advanced breast cancer, and how you used your own mind, body, and spirit to fight it? Please talk about some of the most profound moments you experienced on your journey. How did they stay with you, and influence you? How can this book help people suffering from chronic problems, such as depression or anxiety? Vivianne Nantel is the real deal: a 21st century mystic and spiritual guide who overcame an abusive childhood, deep depression, advanced cancer and even a brush with death by harnessing the power of yoga and her own spiritual energy. She has been with Sadhguru, the Dalai Lama, Sri Sri Ravi Shankar and Yogiraj Gurunath, and became a gifted teacher of her own. 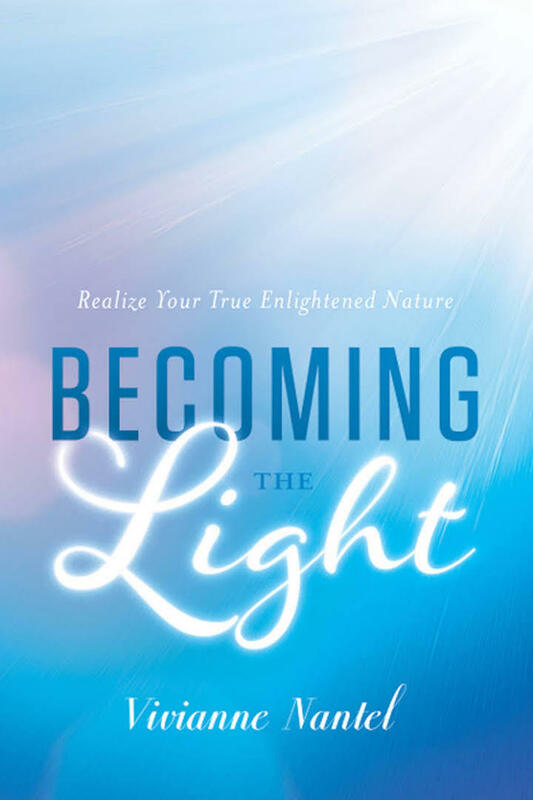 Her new book, Becoming the Light: Realize Your True Enlightened Nature (Greenleaf Book Group Press, August 2018), chronicles her incredible story. 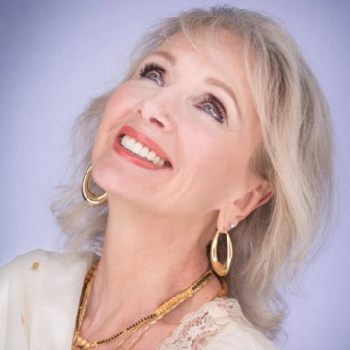 Based in California, she’s also a humanitarian, speaker, animal advocate, vocalist and also has appeared on on various television talk shows, including Earth Advocate and Bridging Heaven and Earth. Financial toxicity’s devastating effect on people with late stage illnesses – there are solutions. Adam Balinsky, Founder and President of Fifth Season Financial, a financial services firm which offers solutions and products to help relieve the financial pressures faced by many patients struggling with advanced illnesses, including cancer joins eHealth Radio and the Health News Channel. Its FLAG (Funds for Living and Giving) program is designed to bridge the gap between the traditional financial assistance programs available to mitigate the direct medical and treatment costs, and the much broader financial needs of patients. What is financial toxicity and how does it impact your clients? What’s the difference between your FLAG program and viatical settlements? Why aren’t nonprofits and hospitals talking about this option when it comes to people who are dealing with late stage illnesses? Is there a personal story behind FSF that you can share? What’s the thing your most proud of when it comes to your business? Adam Balinsky is the Founder and President of Fifth Season Financial. He passionately believes in the mission of the company—to help relieve the financial pressures faced by many patients struggling with advanced illnesses including cancer. Adam recognizes that people facing advanced-stage diseases have incremental financial pressures affecting everyday life that are not being addressed. That’s why Fifth Season’s financial assistance program, FLAG (Funds for Living and Giving), is designed to bridge the gap between the traditional financial assistance programs available to mitigate the direct medical and treatment costs, and the much broader financial needs of patients. The FLAG Program provides patients with money from a non-traditional asset – their existing life insurance policy. Adam hopes that those who use our financial assistance program are able to use the funds to maintain or better their quality of life. The funds can be used as the patient sees fit. Common uses include paying rent or mortgage bills, utility bills, medication costs, treatment costs. Others use the funds to take a dream trip—creating lasting memories with family members, to pay for in-home care, or to pay to bring family together. To date, Fifth Season has assisted nearly 400 patients and their families and provided more than $75 million in financial help to patients with advanced illnesses. A year after Adam and his family moved to the United States from Canada, his wife, Tracey, was diagnosed with breast cancer. While dealing with the sobering realities of their new situation, Adam began to learn about the many ways organizations in the U.S. support patients medically and emotionally. However, he was disappointed to see the very limited structured support for the broad range of financial strains patients often face. Adam was motivated and inspired to proactively do something about it. After serving as director of Fifth Season Financial from 2007 through 2009, Adam acquired Fifth Season Financial in October 2012. He then structured and developed the FLAG program to specifically address financial needs of people facing advanced-stage illnesses. Beyond Fifth Season, Adam and Tracey (who is now five years post treatment and doing very well!) are very active in supporting cancer causes, including Gilda’s Club Westchester, where Tracey is a member of the Board of Directors. Adam is a lawyer by training, having practiced law for 11 years at Baker & McKenzie LLP, where he became a partner in 2005. 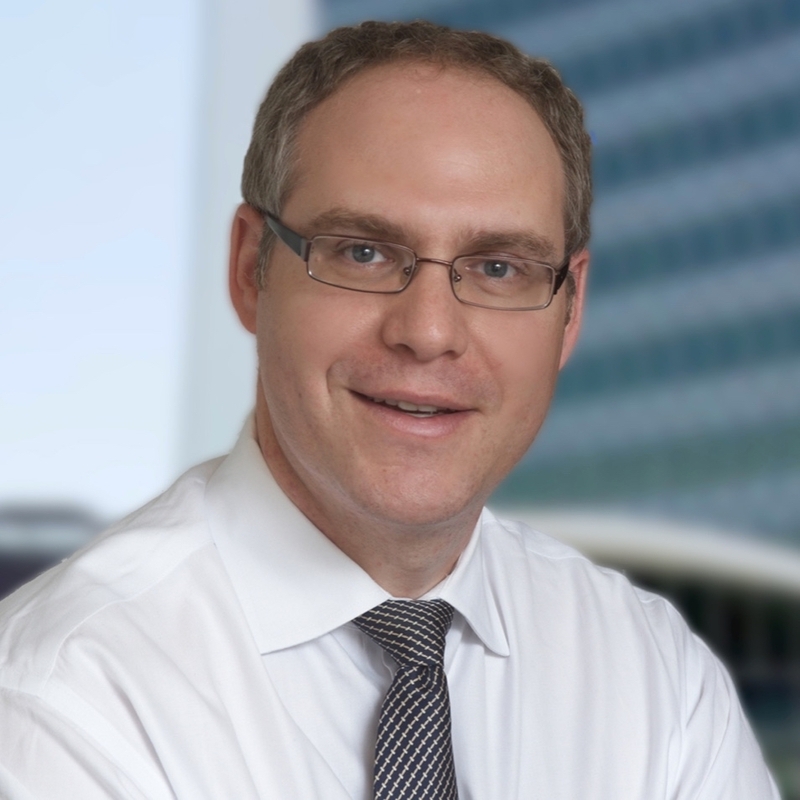 Adam holds a joint MBA/JD from the University of Toronto and a Bachelors of Commerce from McGill University. He is admitted to practice law in the Province of Ontario, Canada, and is in good standing with the American Bar Association and the Law Society of Upper Canada. He has served on the Board of Directors of the Life Insurance Settlement Association (LISA) from May 2011 to May 2013. Dr. David Samadi, Chairman of Urology and Chief of Robotic Surgery at Lenox Hill Hospital and the inventor of the “Samadi Modified Advanced Robotic Technique,” a minimally invasive robotic-assisted laparoscopic prostatectomy joins eHealth Radio and the Cancer Prevention and Health News Channels. What are some of the unique and different skills you have, as a doctor? How do you interact positively with support staff? How do you remain current in your medical training? How do you encourage patients to proactively manage their health and improve their habits? Dr. David Samadi was born in Iran in 1964. He was forced to leave the Jewish community he was raised in because the country became embroiled in the Iranian Revolution in 1979. 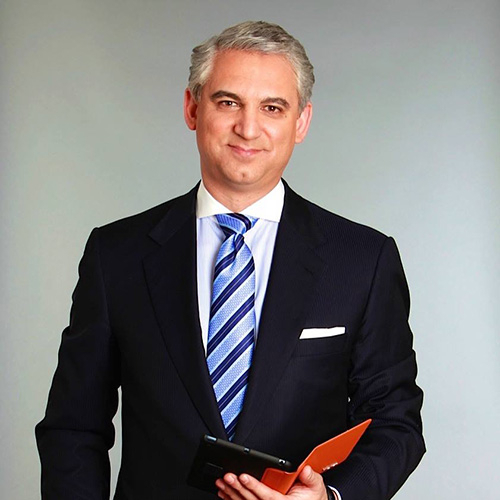 At the age of 15, Dr. Samadi made his way to Belgium and then London with his younger brother. When he was able to finally make it to the United States, he entered high school in Roslyn, New York. After he graduated from high school, Dr. Samadi attended Stony Brook University where he studied for a degree in biochemistry on a full scholarship. He attended Stony Brook School of Medicine and received his M.D. degree in 1994. While he was at Montefiore Medical Center, Dr. Samadi received training in urology. He obtained his training in proctology at Albert Einstein College of Medicine and Montefiore Medical Center. In 2001, Dr. Samadi finished his oncology fellowship in the area of proctology while he was at Memorial Sloan Kettering Cancer Center. In 2002, he traveled to France to study at Henri Mondor Hospital Creteil where he undertook a radical prostatectomy fellowship. During this time, he studied under Professor Claude Abbou. Dr. Samadi invented his own robotic technique for performing prostatic surgery, and he called it “Samadi Modified Advanced Robotic Treatment” or SMART. Ordinarily, this type of cancer is known to be extremely deadly, but when Dr. Samadi used his SMART technique to treat his patients, nearly 90 percent of them could be declared to be free of cancer. Veterinary specialist, Dr. James T. Custis, III, Radiation Oncologist, who practices at the VCA Animal Diagnostic Clinic in Dallas, Texas joins eHealth Radio & the Animal Health Channel to discuss how VCA offers the most advanced technology to treat animals with cancer. As a veterinary radiation oncologist at VCA’s Animal Diagnostic Clinic, can you share some background on why you chose to specialize in veterinary oncology and some of the advanced educational and training requirements that are needed for this specialty? Can you tell us about VCA Animal Diagnostic Clinic’s state-of-the art TrueBeam Radiotherapy System and how it is used to diagnose and treat pet cancer? What types of cancers can be treated with this technology and what are the benefits for pet patients and their families? It appears that VCA is on the forefront of veterinary oncology with the latest tools and techniques to treat even the most challenging cancer cases. Are there many other facilities that offer this type of advanced technology and multi-disciplinary approach to pet cancer? When a pet is being treated for cancer, what should pet parents expect during and after treatment? In addition to advanced technologies like the TrueBeam, what other innovative tools and techniques are you aware of that are being developed to treat pet cancer in the future? Dr. Custis received his DVM from Virginia-Maryland Regional College of Veterinary Medicine in 2005. During his two years in a progressive small animal practice in Houston, Texas, he developed a particular interest in oncology. Thus, he then pursued a one-year small animal medicine and surgery internship at Carolina Veterinary Specialists in Greensboro, North Carolina. Subsequently, he completed a dual program consisting of a Master of Science in Radiological Health Sciences, and a residency in veterinary radiation oncology at Colorado State University Flint Animal Cancer Center. He became board certified in Radiation Oncology by the American College of Veterinary Radiology in 2011. During his residency training at the Colorado State University Flint Animal Cancer Center, Dr. Custis became proficient in the utilization of new modalities such as intensity modulated radiation therapy (IMRT) and stereotactic radiation therapy (SRT) in an effort to improve local tumor control and decrease normal tissue side effects. Dr. Custis remained on faculty at Colorado State University until joining our team in 2015. His research interest's center upon the treatment of spontaneously occurring tumors in client owned animals with an emphasis upon the potential translational applications and the benefits of radiation therapy. In his spare time, Dr. Custis enjoys the outdoors, golf, and running with his canine companion, Huckleberry. VCA Animal Diagnostic Clinic provides veterinarians, along with their clients and pets, with the highest quality diagnostic and therapeutic care as it relates to internal medicine, oncology and cardiology. Located in Dallas, Texas, specialists and technicians are trained to the highest standards. Their thorough knowledge of the latest procedures and medicines ensures that patients receive the best care available. One such advancement is the state-of-the-art TruebeamTM radiation technology that can deliver better, safer and faster radiation treatment with unmatched precision to tumors. At the heart of VCA’s advanced care services are board-certified veterinarian specialists, who have access to extensive medical resources, not the least of which is the VCA knowledge base, which allows doctors to tap into the collected knowledge of over 4,000 VCA veterinarians. 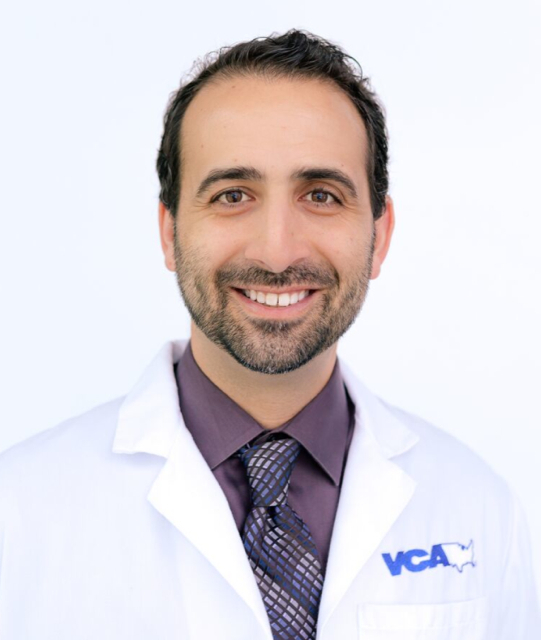 Dr. Zachary Wright, DVM, the Director of Oncology at VCA Animal Diagnostic Clinic in Dallas, Texas joins eHealth Radio and the Animal Health Channel to discuss how VCA is offering multidisciplinary approach and advanced technology to treat animals with cancer. As director of oncology for VCA Animal Diagnostic Clinic in Dallas, Texas, can you tell us about the Animal Diagnostic Clinic and why this oncology practice is of growing importance today for pets and their families? As a veterinary medical oncologist, can you share some background on why you chose veterinary oncology and what the educational requirements are for this specialty? How does VCA Animal Diagnostic Clinic approach diagnosing and treatment for pet cancer? What sets it apart from other veterinary hospitals and can you explain a little about the Triad of Care? What are some of the latest technologies and tools available at your clinic for the treatment of pets with cancer? In human medicine, we hear a lot about clinical trials and how they can evaluate cutting edge cancer testing and treatments. How does VCA’s participation in clinical trials benefit pets and cancer outcomes? When a pet parent is facing a diagnosis of cancer for their family pet, what advice can you offer to them to help them through the process? Dr. Zachary Wright was raised in the DFW Area (Rockwall). He received his Bachelor of Arts degree in History from the University of Notre Dame and his veterinary medical degree from Texas A&M University, College of Veterinary Medicine in 2004. He then completed a one year rotating small animal internship in medicine and surgery at VCA West Los Angeles Animal Hospital in Los Angeles, California. Dr. Wright followed his passion in pursuing a residency in small animal oncology at Texas A&M University and became a Diplomate of the American College of Veterinary Internal Medicine-Oncology in 2008. Upon completion of his residency, Dr. Wright joined the staff at VCA Veterinary Care in Albuquerque, New Mexico, to open a new oncology practice. While on staff he served as director of the internship program. 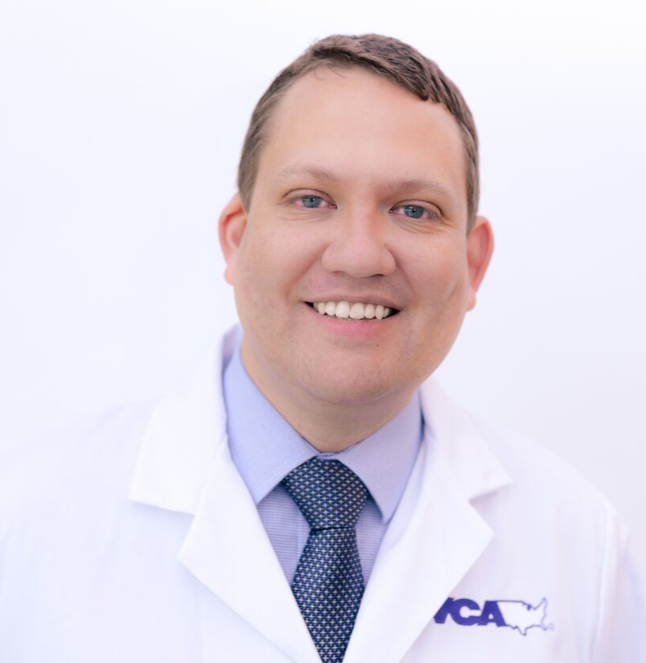 In 2012 Dr. Wright and his family were thrilled with the opportunity to move back to North Texas and join VCA Animal Diagnostic Clinic where he now serves as Director of Oncology. Dr. Wright has published numerous scientific articles and book chapters in small animal oncology. He also lectures to veterinarians across the United States. He believes in giving back to his profession and has served in multiple roles within his regulatory college, the American College of Veterinary Medicine, including positions on the Board of Regents. As a clinical oncologist, Dr. Wright believes in fully educating his clients on the nature of their pet’s cancer. A cancer diagnosis is rarely a black and white topic and he believes in making sure there are multiple diagnostic and treatment options for all his patients regardless of the situation. Additionally, he is passionate about the role of the veterinary oncologist in palliative care of pets with cancer. At VCA Animal Diagnostic Clinic, Dr. Wright has proactively brought a collection of clinical trials to our hospital that evaluate cutting edge cancer testing and treatments. He believes in the Triad of Care and working as a team with your primary care veterinarian to ensure all his patients receive optimal care. Dr. Wright and his wife (also a veterinarian in Dallas) have two young boys and their rescue dog Allie. In his free time, he enjoys spending time with his children, the Dallas restaurant scene, golfing and fly fishing. VCA Animal Diagnostic Clinic provides veterinarians, along with their clients and pets, with the highest quality diagnostic and therapeutic care as it relates to internal medicine, oncology and cardiology. Located in Dallas, Texas, specialists and technicians are trained to the highest standards. Their thorough knowledge of the latest procedures and medicines ensures that patients receive the best care available. One such advancement is the state-of-the-art TruebeamTM radiation technology that can deliver better, safer and faster radiation treatment with unmatched precision to tumors. 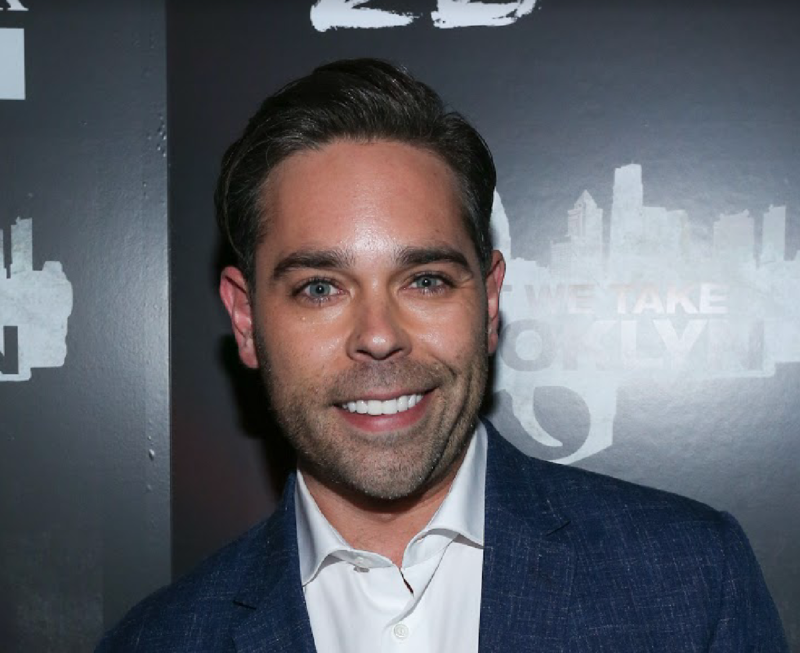 Actor Kyle Stefanski the Executive Director and Co-Founder of Rhonda's Kiss organization dedicated to making a difference for those dealing with cancer joins eHealth Radio and the Cancer Information and Health News Channels. Tell us about your charity, Rhonda's Kiss. Why did you start Rhonda's Kiss? How can people get involved and help? What is the goal of your charity, looking at the big picture? Tell us about you and your background outside of Rhonda's Kiss and how you became an actor? Executive Director of Rhonda’s Kiss, Kyle Stefanski grew up with his four brothers and sisters in Cleveland, Ohio with their mother and father, Rhonda and Marc Stefanski. The Stefanski family suffered enormous difficulty when Rhonda was diagnosed with stage 4 pancreatic cancer. In only two short months Rhonda lost her battle and painfully left her loving family behind in November 2014. Crushed by the loss of his mother, Kyle and his father created Rhonda’s Kiss. In her honor, Rhonda's Kiss provides financial assistance for the non-medical costs associated with cancer treatment. Through events in Cleveland, Los Angeles, and Palm Beach, Florida, Rhonda's Kiss provides money for patient social services at nationally recognized hospitals. Kyle is determined to help patients and their families with non-medical expenses and supports cutting-edge research to fight cancer from multiple fronts. Carol Michaels, an award winning exercise specialist and the owner of Carol Michaels Fitness again joins eHealth Radio and the Health News and Cancer Information Channel. She is the creator of the Recovery Fitness exercise program, the author of Exercises for cancer survivors, and offers continuing education through the National Federation of Professional Trainers. Is exercise safe and beneficial for those with lung cancer? What are some of the side effects of surgery and treatment that can be helped with exercise? How should someone with lung cancer begin to exercise? Is a stretching and posture exercise program helpful? What other types of exercise are recommended? 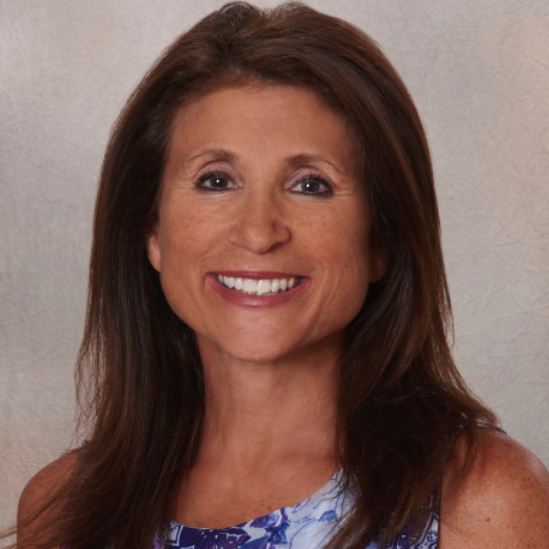 Carol Michaels MBA, ACE, ACSM is the founder of the Recovery Fitness® exercise program, developed to improve the recovery from cancer surgery and treatments and osteoporosis. Carol is an award winning exercise specialist and consultant, and is on the board of numerous organizations. She received her degree from the Wharton School of the University of Pennsylvania. Carol is a speaker for corporate wellness programs, fitness organizations, community events, and health related organizations on fitness and health issues. She has appeared on radio and television programs, is the author of Exercises for Cancer Survivors, and is published in numerous magazines, newsletters, blogs and medical journals. Carol developed and produced DVDs and created the Cancer Specialist Recovery course in partnership with the National Federation of Professional Trainers. The book and DVDs can be found on her website www.carolmichaelsfitness.com. The American Council on Exercise and Life Fitness recognized her as a Trainer to Watch in 2011. Personal Fitness Professional honored her as the 2012 PFP Trainer of the Year, and Carol was the IDEA Fitness 2016 Personal Trainer of the Year. Laurie Neronha an award-winning herbalist, certified Acne Specialist, licensed esthetician since 1997 and an educator for Oncology Spa Solutions joins eHealth Radio and the Cancer Information, Health News and Skin Care Channels. There is a lot of concern about the ingredients in our personal care products, some say they may be toxic, or may contribute to cancer. What should we really be concerned with? Are there any specific ingredients that an Oncology patient should avoid? What about preservatives? Are they really that important? Whats the deal with parabens? What kinds of ingredients should someone be looking for? What are better options? Since 1997 Laurie Neronha has been working full time as a licensed esthetician in Providence, RI. 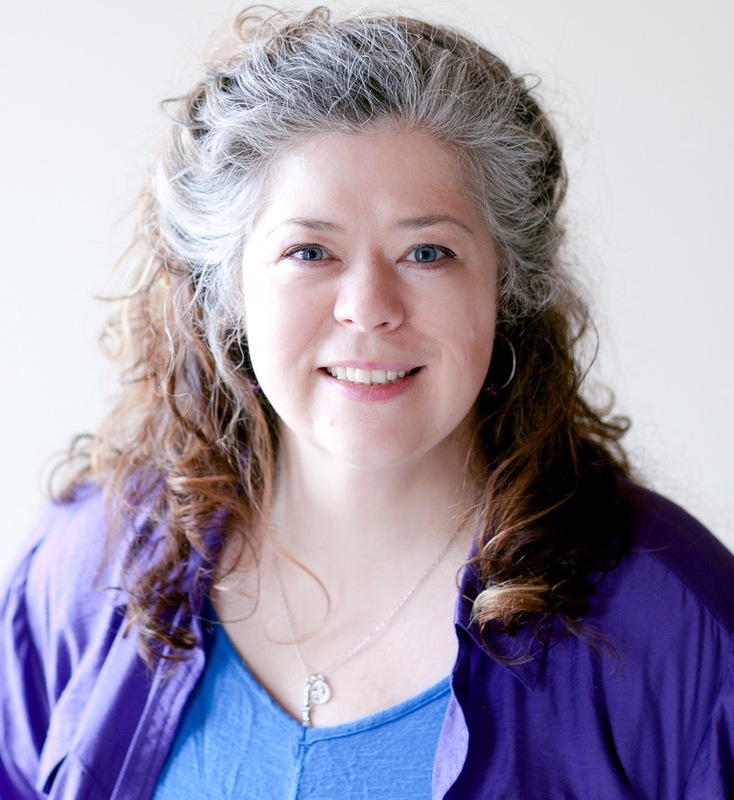 A longtime student of medical herbalism, aromatherapy and wellness, she has integrated her diverse knowledge into her daily work with clients. In 2011 she became a certified Acne Specialist, and has cleared hundreds of clients of all ages with moderate to severe acne. Laurie has been quoted in multiple online and print publications, including SheKnows.com, Myhealthdaily.com, Slashedbeauty.com, Providence Journal, Rhode Island Monthly, East Side Monthly, and many others. Her television interviews have won several Pegasus Awards for content. Currently she is a small business owner, and new recipient of the Goldman Sachs 10,000 Small Business Scholarship program. As a regional educator for Oncology Spa Solutions she travels the East Coast training other spa professionals how to safely care for clients before, during and after anti-cancer therapies. Laurie Neronha an award-winning herbalist, certified Acne Specialist, licensed esthetician since 1997 and an educator for Oncology Spa Solutions joins eHealth Radio and the Health News and Skin Care Channels. Many people have heard about or experienced the side effects of Chemotherapy. Can you give us a brief overview of what is happening to the skin during this time? Does the same thing happen with radiation? What are some ways to keep the skin healthy and intact? Are there things people should avoid using on their skin during this time? What about going to a spa or getting a facial? Dr. Elliot Hirsch, a board certified plastic surgeon who practices the full spectrum of plastic and reconstructive surgery, specializing in both cosmetic and reconstructive breast surgery including breast reconstruction, breast reduction, and breast implant removal and revision joins eHealth Radio and the Cancer Information and Plastic Surgery Information Channels. The FDA has discovered a rare form of cancer that is linked to textured silicone breast implants called (breast implant-associated / ALCL) BIA-ALCL (breast implant-associated anaplastic large cell lymphoma). Can you explain to our listeners more about this discovery? A rare cancer of the immune system that has had devastating effects on women, many of whom had reconstructive surgery after breast cancer. What are their options? Can you explain to our listeners what the traditional (standard) method for a reconstruction surgery? What are the negative side effects of this method? Dr. Hirsch, you are one of the only surgeons in LA that is currently offering a new cutting edge method to patients, can you explain what it is and walk us through the steps? What are the benefits of this new method? Why is this method better for the patients? You treat patients from all over the country at your practice in Los Angeles, can you tell us about the other services that you offer? 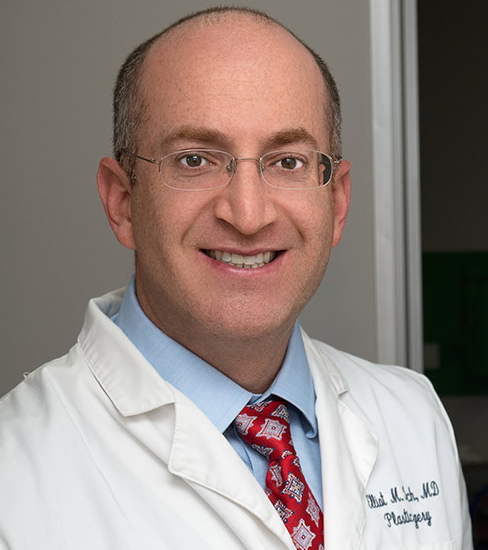 Dr. Elliot Hirsch is a board certified plastic surgeon who practices the full spectrum of plastic and reconstructive surgery, specializing in both cosmetic and reconstructive breast surgery including breast reconstruction, breast reduction, and breast implant removal and revision. Dr. Hirsch’s primary office is in Sherman Oaks, and treats patients from not only Los Angeles but from all over California and beyond. Dr. Hirsch grew up in Westlake Village, Los Angeles and attended the prestigious Johns Hopkins University in Baltimore, Maryland where he graduated with Phi Beta Kappa and Omicron Delta Kappa honors, and also received the Kurt P. Richter award for outstanding research in the field of Behavioral Biology. After his undergraduate studies, Dr. Hirsch returned to Southern California for medical school at the Keck School of Medicine at the University of Southern California, where he graduated with the highest distinction and was elected into the Alpha Omega Alpha honor society as well as the Order of Arete. Dr. Hirsch completed his integrated plastic and reconstructive surgery residency at the prestigious Northwestern Memorial Hospital program in Chicago, Illinois where he received several awards for his research and teaching. Since entering medical school, Dr. Hirsch has been an active researcher in the field of plastic surgery and has co-authored over 40 manuscripts and book chapters, and has received several grants for original research projects and holds patents for wound care devices. Dr. Hirsch is board certified by the American Board of Plastic Surgery. Click here to review Dr. Hirsch’s CV and Publications. For more information on Dr. Hirsch, please visit www.hirschplasticsurgery.com.